Pandora is still the best at finding music that is musically similar to other tracks you like. With a little patience and a little luck, it’s possible to train Pandora to hit all the right notes. I listen to a lot of different music so I have a list of stations for whatever I feel like at the moment. 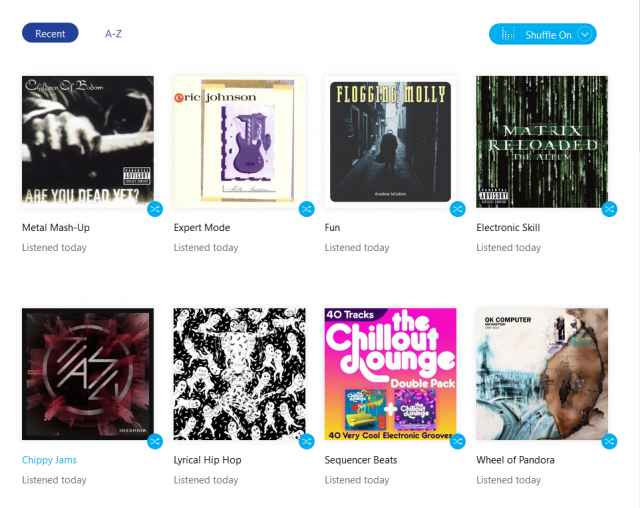 Wheel of Pandora – randomly plays any genre on Pandora; use in shuffles!